Ryann and Lad are together and in love, but they are not yet bonded. Wedding plans are underway, but they cannot marry until the mourning period for his father, the murdered king, ends. Waiting is sweet torture and gets harder all the time. Nox and Vancia are touring the world with his band The Hidden and enjoying their honeymoon. They’re also working to convince the holdout tribes in Europe, Asia, and Australia to disband their fan pods and sign the new peace treaty between the Dark and Light Courts. It’s the only way to ensure the safety of humans worldwide. But unbeknownst to any of them, dark forces are still at work. There are some who don’t support the treaty—or their new king. And they’ll do anything necessary to restore Elven reign over humanity. When an ambassador from the Dark Court arrives in Altum, Lad expects relations between the formerly antagonistic clans to improve. What he didn’t expect is her unique glamour—or her traveling companion. And Ryann’s own glamour gift is warning her… if they can’t uncover the hidden truth in time, the much-anticipated royal wedding may never happen. As the Hidden Saga continues, friendships will be formed and broken, the bonds of love tested, and beautiful and dangerous new glamours revealed. 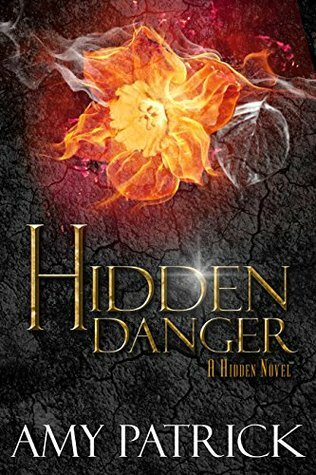 After Hidden Hope ended, I thought I had heard the last of Lad and Ryann. Their story closed on a happy note that I assumed meant everyone lived happily ever after. I was wrong. And I'm glad. Hidden Darkness brings us back to the world of Light and Dark elves. Though both factions are now headed by "brothers" Nox and Lad, things are not so stable among the dark elves. There are still those who want to control humans and will stop at nothing to get it, despite the fact that their leader Davis, Ryann's father, is already dead. Ryann and Lad are waiting to marry after the mourning period for Lad's murdered father, the King, has ended. In the meantime, two emissaries have been sent by the dark council to stay with them. The problem is these two have unusual glamours they plan to use to destroy everything between Ryann and Lad. Ava and her fiancée Culley are both beautifully dangerous and are controlled by the Dark Council. Despite her misgivings, Ava does what she has to do....so does Culley. 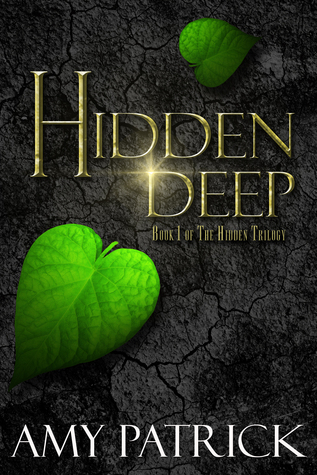 Can Ryann and Lad survive the biggest threat to their relationship and their kingdom? 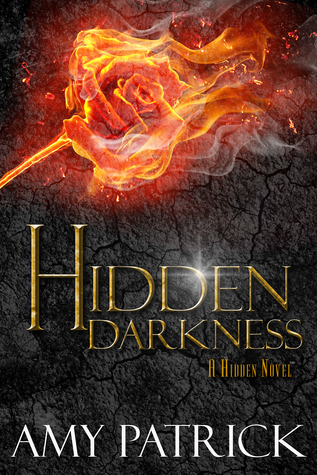 As with the first three books, I highly enjoyed reading Hidden Darkness. Much of the book is about the relationship of Lad and Ryann and its near destruction, but it's also an introduction to two very welcome characters Ava and Culley. Seeing that I am a fan of Ryann and Lad, I should want both Ava and Culley out of the picture, but on the contrary, I am now curious about what will become of them. Author Amy Patrick wrote them in such a way that I sympathized and understood Ava's reluctance about doing and NOT doing what she is supposed to. As for Culley, I feel like there is so much more to him than what he shows the world... There must be some good in him somewhere....and this idea is what keeps me from hating him completely. The addition of Asher, a human, completes the triangle for Ava and Culley. I can't wait to read more about them in the next book. As for Ryann and Lad....wow.....I do love their relationship. And the wait for their becoming one was painful. But anything worth something is, so the ending of this book is cathartic in a way. That...... And it has left me in quite a state. There was a great cliffhanger at the end that I'm now too curious about. 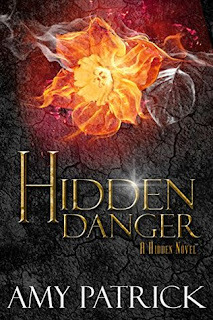 I want to know everything and soon.....waiting for the next book Hidden Danger will be horrible.